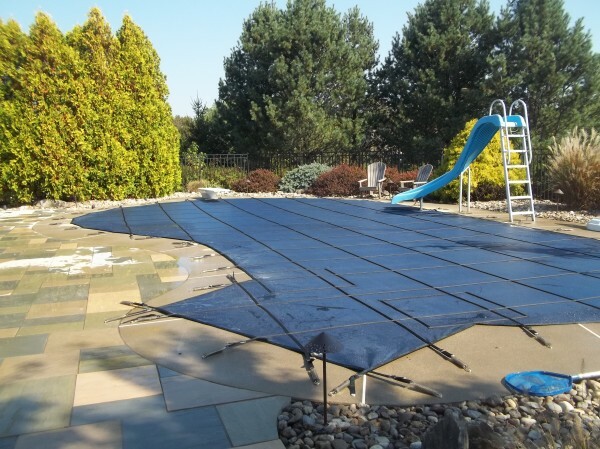 There are a few different types of safety covers. 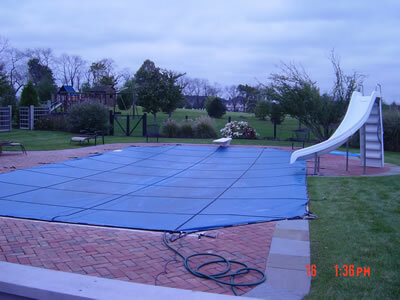 Below you will find descriptions of each that you have to choose from. 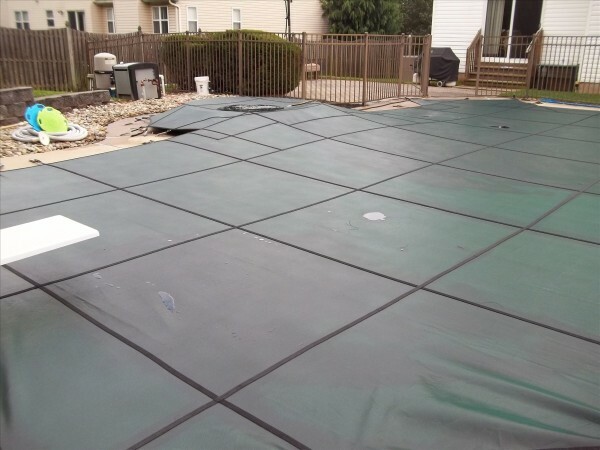 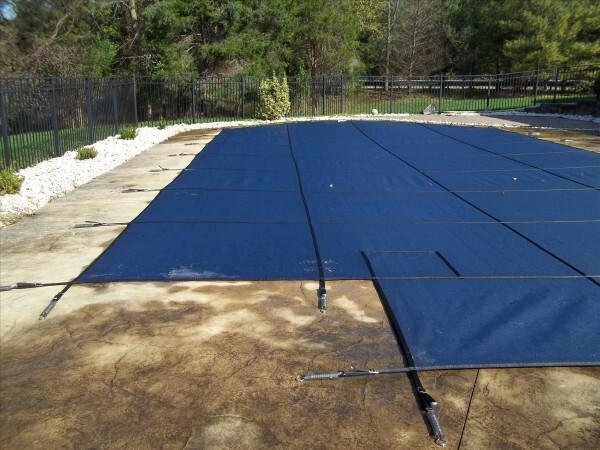 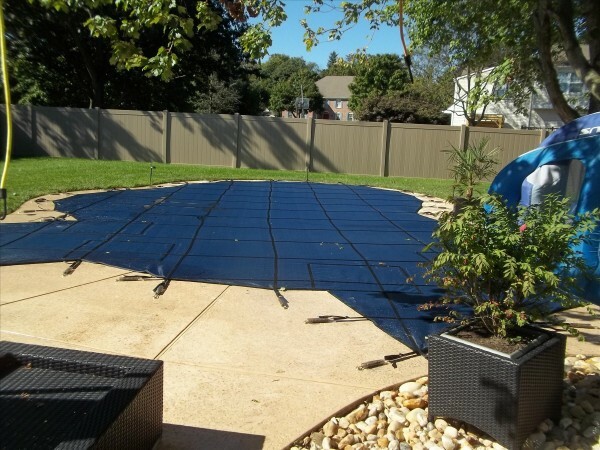 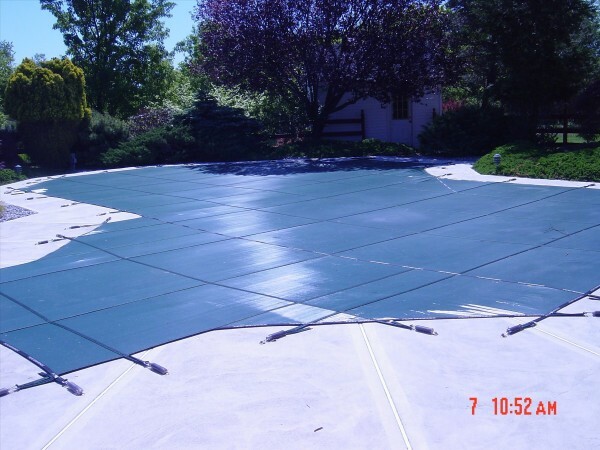 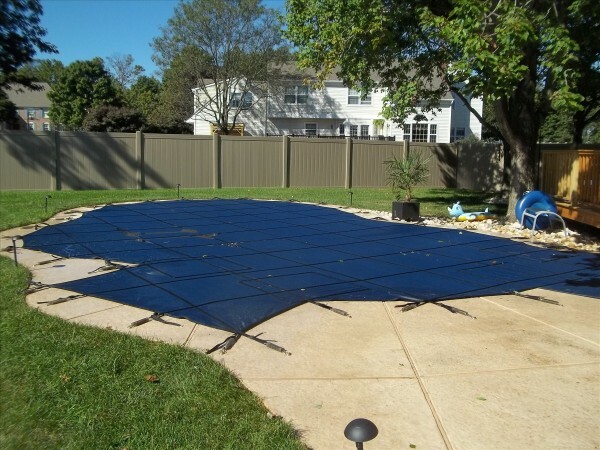 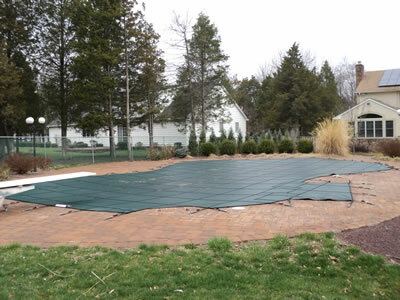 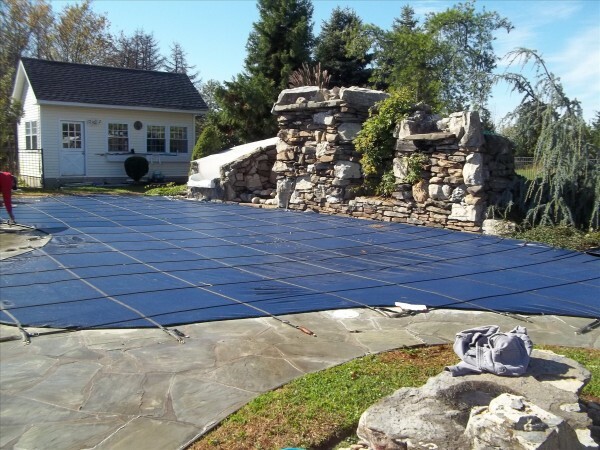 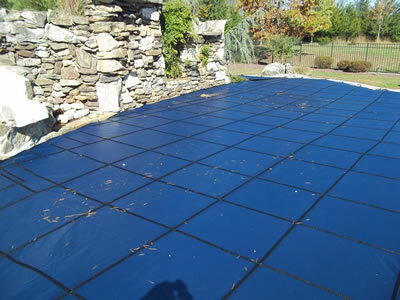 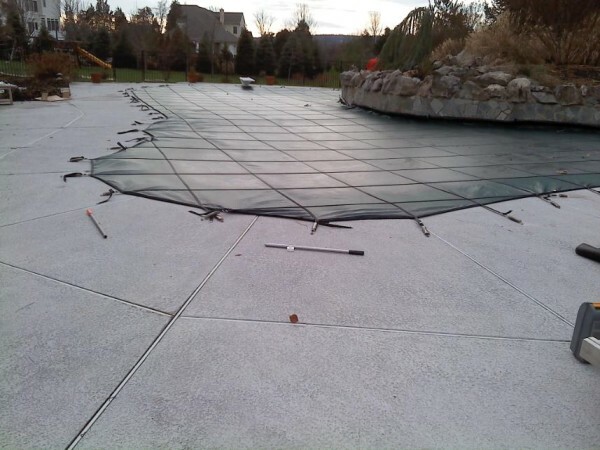 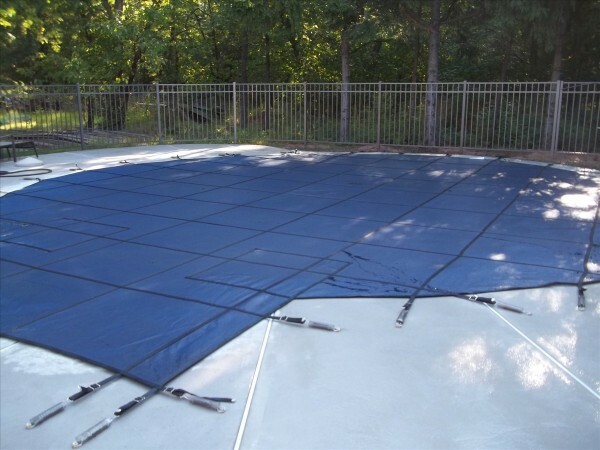 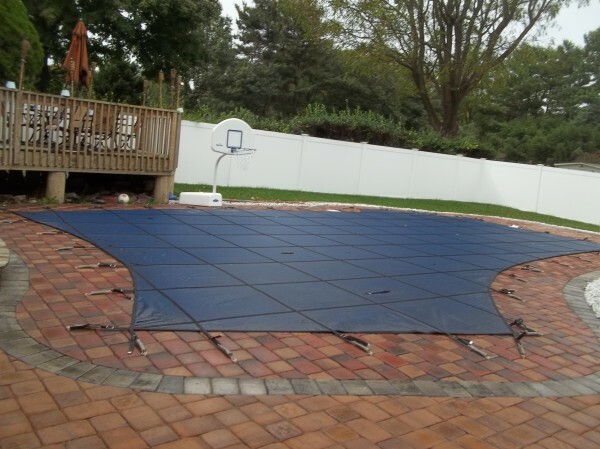 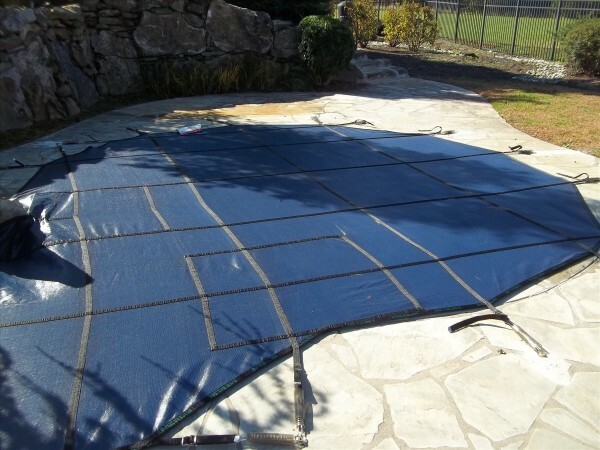 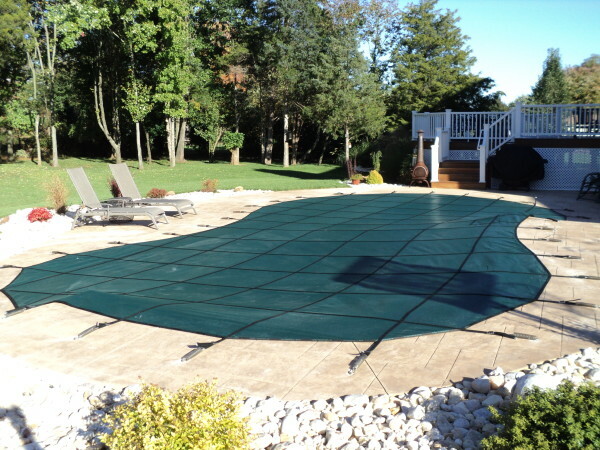 S&R Pool & Spa custom fit safety covers offers safety with a beautiful appearance. Our covers are custom measured by a professional. 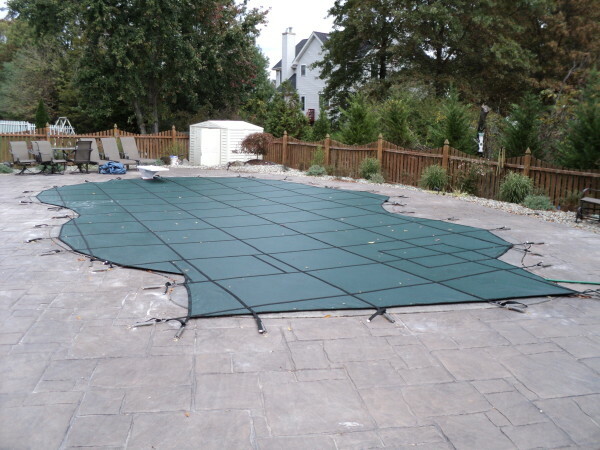 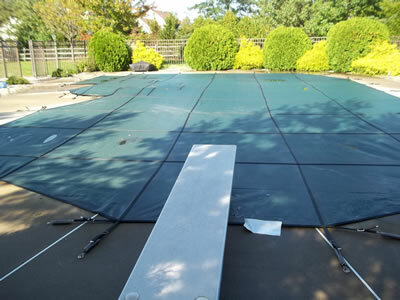 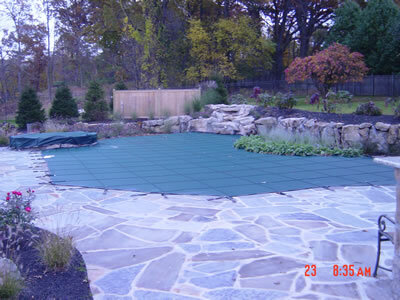 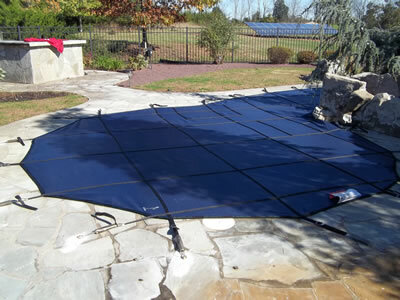 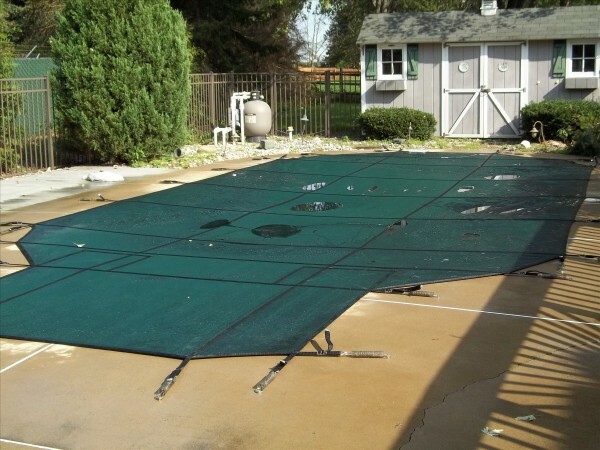 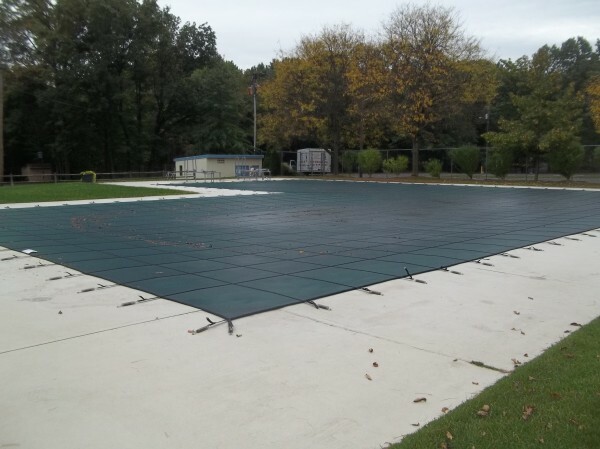 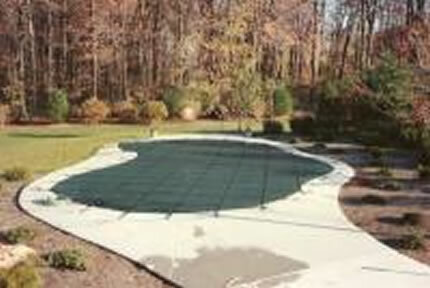 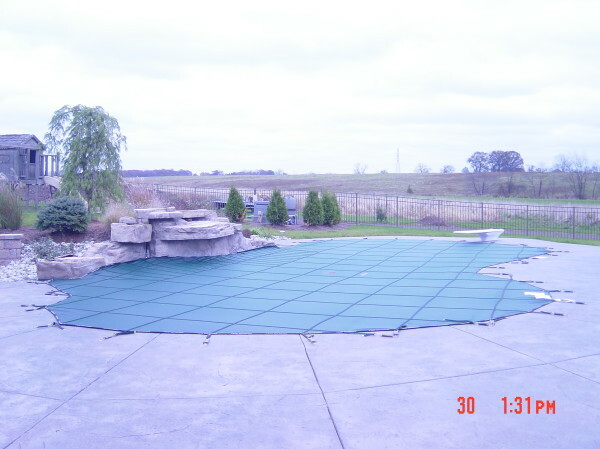 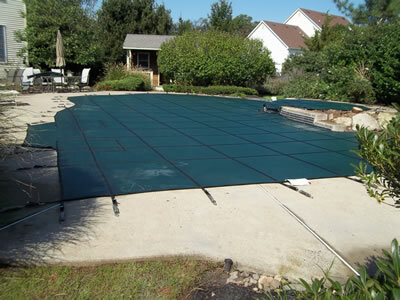 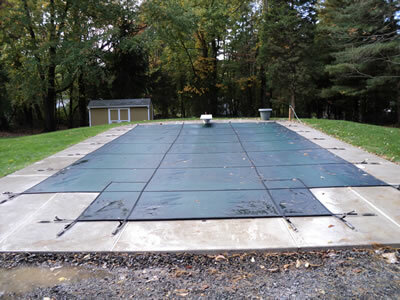 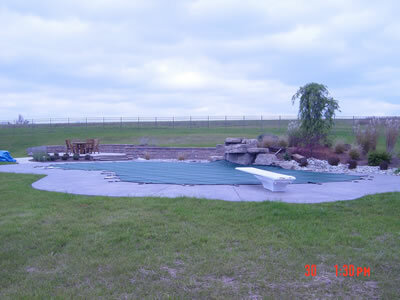 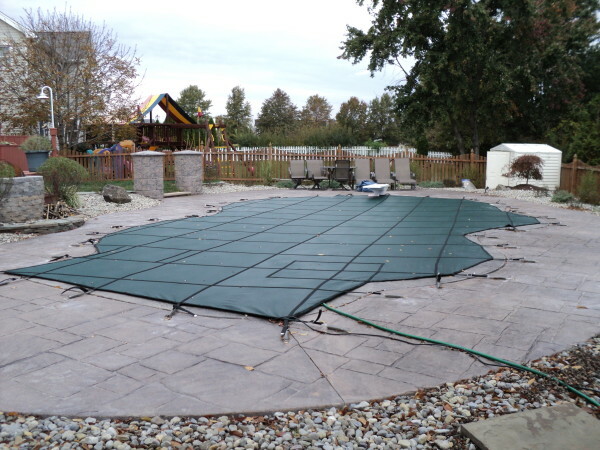 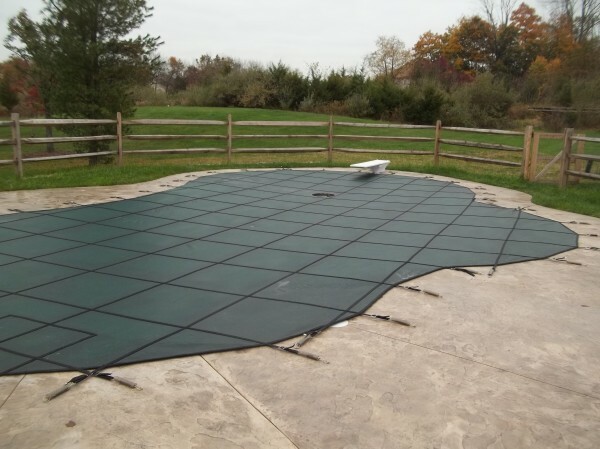 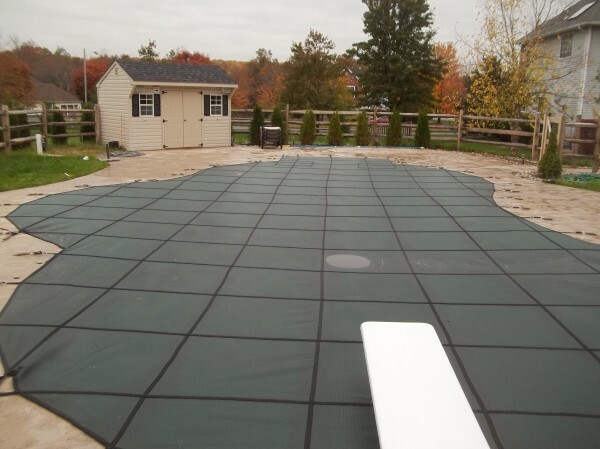 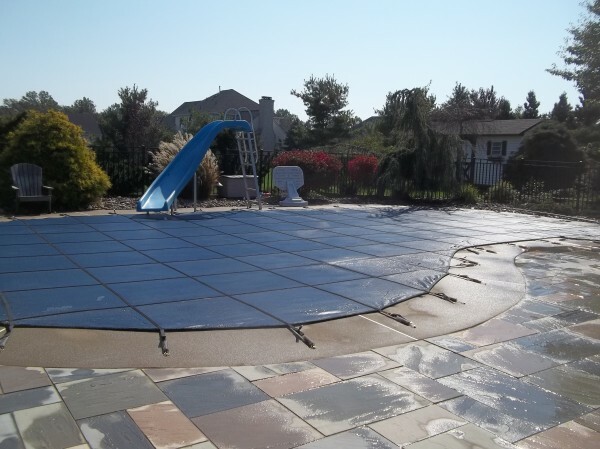 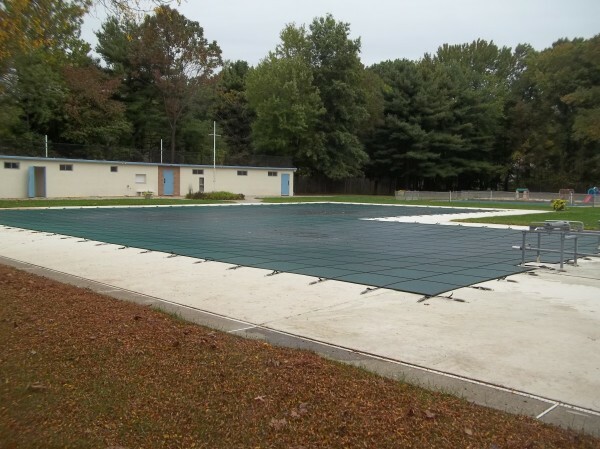 We can fit any size pool regardless of the shape and or obstacles. 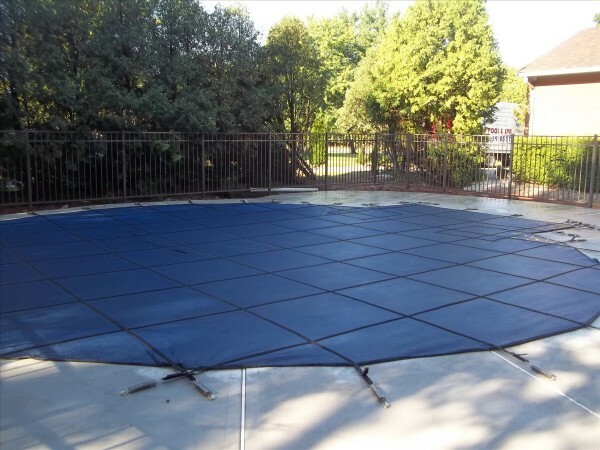 Our custom fit safety covers are available in a wide variety of colors and are CAD designed to assure a perfect fit. 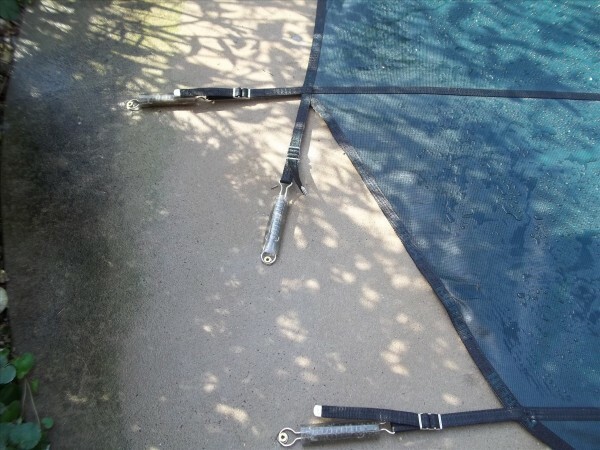 They are triple stitched and have a break strength three times the government standard. 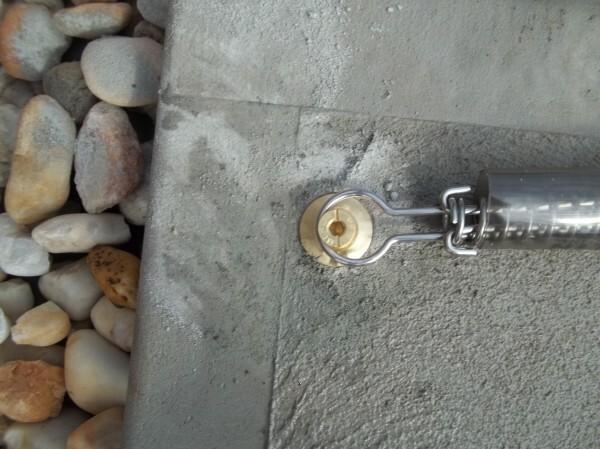 All of our springs are stainless steel and are anchored with solid brass anchors that are inserted into your deck. 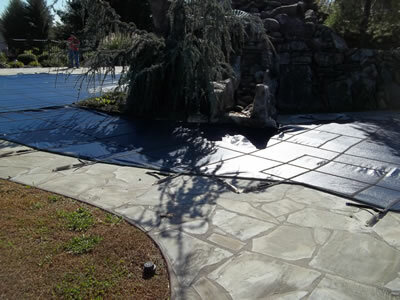 We offer four styles. 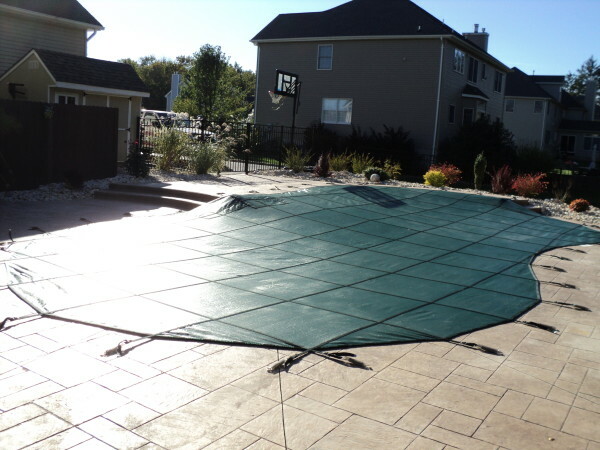 Classic Mesh is our entry level safety covers and offer a precise fit and safety without the upgraded materials that our others offer. 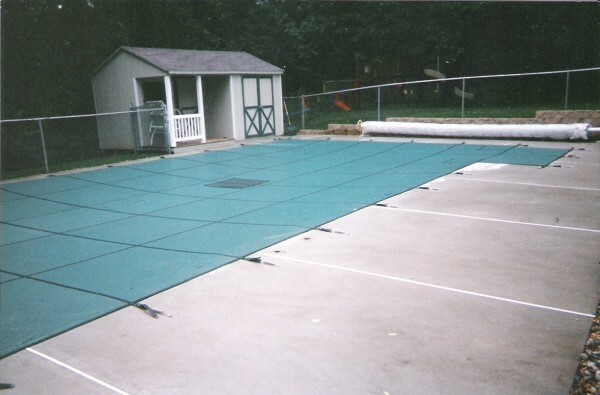 Classic mesh is available in green only. 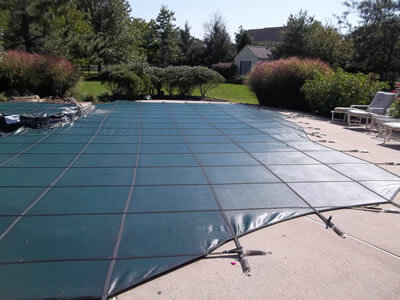 Dura-mesh consists of a specially formulated polypropylene and nylon 2-ply webbing, interconnected with a chemically and heat tentered 5.6 oz. 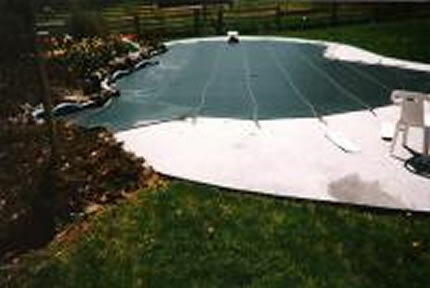 polypropylene mesh. Dura-mesh is available in Green, Black, Blue & Tan. 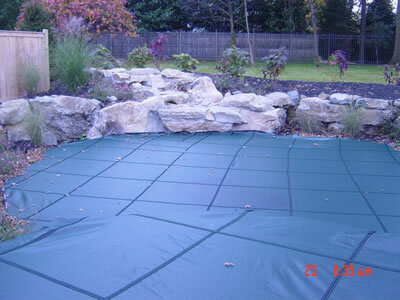 Solid has the same basic design as the mesh, except the difference is in the covering material. 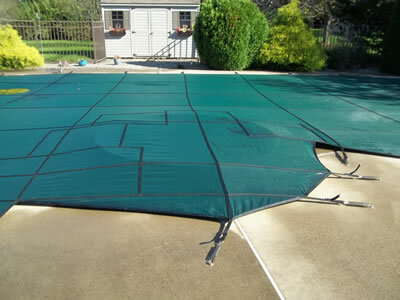 Our solid covers are constructed of 14 oz. 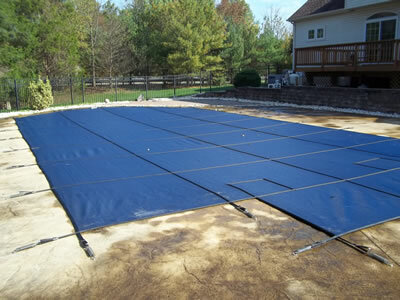 reinforced vinyl material and require either a drain panel or a pump. 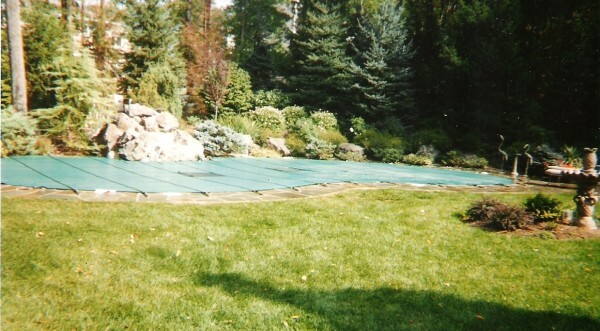 Solid covers are available in blue or green. 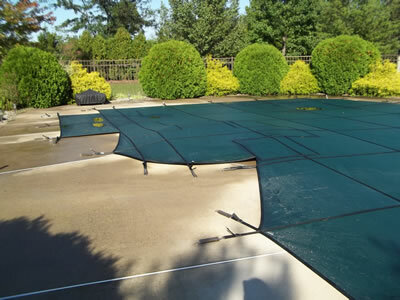 Smart-Mesh are constructed of a patented mesh which provides 100% shade without the weight of the solid version. 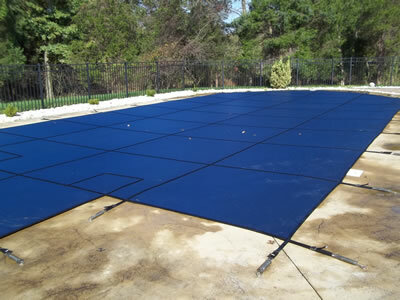 Smart-mesh is 40% lighter than the solid version and filters down the water to 40 microns. 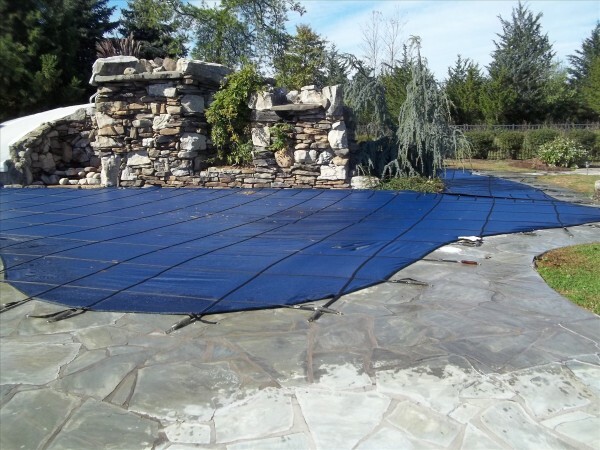 Smart mesh has taken the industry by storm and SMART MESH is the only mesh cover in the industry that can claim to be 100% shade. 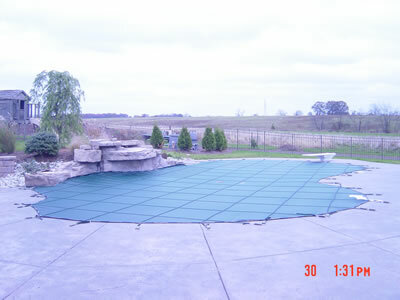 Smart-mesh is available in green or blue.